In a webinar just released today (June 17, 2015), Greenway Health, eHEALTH Initiative and AHIMA presented the findings of the third annual survey of ICD-10 preparedness. It was revealed that only 19% of practices had budgeted for time and costs associated with the transition to ICD-10 and that only 41% had trained staff on using ICD-10. Even more amazing was that 38% of all respondents were concerned that revenue would DECREASE. With this updated information, it is even more important that physician practices begin to get ready for the ICD-10 transition in a serious way. The American Health Information Management Association (AHIMA) strongly recommends the formation of an ICD-10 Steering Committee within your practice. The reason for doing so is two-fold. First, as AHIMA states, “the scope and complexity of the transition are significant and should not be underestimated. This transition will have a pervasive impact throughout the entire healthcare industry”. Secondly, forming a committee will allow you to get other people from your practice involved in this transition. You will not need to shoulder the entire burden yourself. You will get their “buy-in” and it will make your job easier. 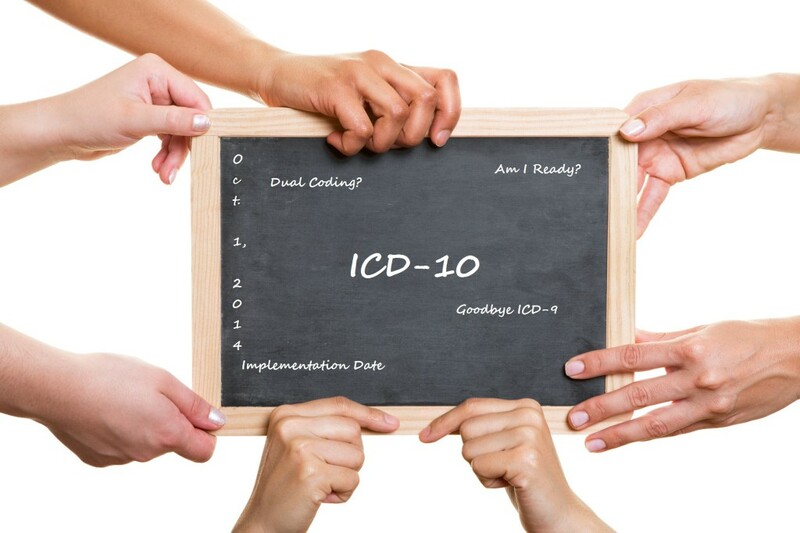 If your practice has not already formed an ICD-10 Steering Committee, DO SO NOW. Procrastinating will only make things worse. If you have formed one, good for you. Hopefully there will be some information in here which will be beneficial to you. • EMR support (if in-house). If not, select a consultant to work with. The Committee Chairman should be someone who will be a positive advocate for change and someone who is willing to “roll-up” their sleeves and go to work. Develop timelines – Set down your milestones by which key events should be accomplished such as testing, training, dual-coding exercises, etc. You may want to work backward from 1 October 2015. • Establish Standard meeting times (once every two weeks between now and well past 1 October. “If you don’t measure it, you cannot improve it”. There is a PDF attached which is a recommended Readiness checklist. If you would like this in an Excel format, just hit reply to this email and let me know. Subsequent Tip Sheets will contain additional information on how to have a successful transition to ICD-10.